Any tips on how to set up chats with chief pilots at airlines ? 5000+ hrs with no offers of employment from the many airlines I have applied at via their online application processes for pilot position. 5000+ hrs with no offers of employment from the many airlines I have applied at via their online application processes. 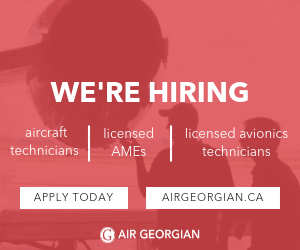 Chief pilots at 705s will ask you to apply online anyway. They are big companies, so in person hangouts are not a thing. I wouldn’t ruin your chances of getting a job in one of those places by wasting their time. Try finding an old friend in one of those places that could vouch for you. Also, 5000+ hours and not getting through an online test in multiple places, could be a sign. Ps. Good references go a very long way. Who you know, not what you know. Curious, no offers, but how many interviews? Honestly. They refuse to do anything over email, that's why I thought stopping by to chat with chief pilots be an option. Should I hire a lawyer? I don't require a telephone to position. Discrimination is against labour code. So clearly trolling, or refuses on call reserve shifts. Their pay seems fair to me. I would gladly accept an offer of employment however they don't hire higher time candidates. If you can't hired at GGN with 5000 hours in this climate, something is very, very wrong. They probably would like a candidate with a phone. But then again, it's not like a fundamental aspect of being an airline pilot has anything to do with communications, logistics and teamwork, so who knows?! Nah, just threaten them in your cover letter that you are in contact with the labor board. I'm sure they'll hire you right away without a phone. "we'll give you a call if we'd like to hire you"
-"but I don't have a phone"
Who hired him this whole time without a cell phone? Only medevac positions require a telephone. I'm pretty confident you're a troll but I'm bored. As I am an airline pilot who finished Being on reserve 3 minutes ago I can confirm that a phone is certainly necessary for an airline job. Time to face it. High time pilots aren't in demand any more. Airlines want kids who live at home. If you do get an interview, they'll second guess complex life decisions you made 15 years ago, and then they'll go an hire a kid who was in diapers 15 years ago. They'll want references from the past 3 aviation jobs you have had, and then they'll go and hire someone who's working their first job. Not just their first flying job, their first ever job. If you are an egg farmer and you can't find any laying hens to buy, would you buy a bunch of roosters, or a bunch of unsexed chicks? Don't agree - plenty of jobs for experienced Type Rated Pilots globally. When I get called to discuss employment it isn't by some HR type. The last employment call I had was from the A330 Chief Pilot - he said there were no vacancies on the A340 and would I be interested in a position on the A330 fleet? When I called back a few days later to explain that I had decided to take another job I was told to "Contact us if you need a job"
My last interview was a 20 minute informal chat followed by a visual circuit in the Simulator. This was on a Friday. Ground school started on Monday. The only road trips I've done is to attend interviews/selection. All applications are online these days. I must have missed the part in the original poster's comments where he mentioned he is an experienced captain with a widebody type rating. (Hint: he didn't.) If he had said he's A330 rated and has command experience I would be more surprised he hasn't found employment. Glad it's worked out for you and all, but your personal experience (or mine) is hardly relevant to the OP's situation. The comment you replied to doesn't claim there aren't plenty of jobs, only that experience is less in demand than it was. Hard to dispute that when you look how most recruiting offers are structured now: lower experience requirements, lower pay, higher bonds. But I'm not sure I could call some of those NTR job ads I've seen with the massive bonds "opportunities", more like indentured servitude. The discussion is about Airline experience requirements with a statement that high time Pilots are not in demand. I disputed that with a few examples from my recent past. I get hired because of the qualifications I bring to the table including experience - been like that for the last 19 years. I'm guessing that you got hired at your present job for the same reason. No argument about some of the NTR job ads - they're a disgrace. The Emirates Recruiting Team is rolling through Canada in July - I believe these are open days. Just show up with your documents. In response to the airline's expansion, we have made some changes to our requirements, which are designed to improve job security, and create more opportunities for pilots with Emirates, which will enhance career progression prospects. Can't believe how low the requirements have become! You currently fly the A340. It is my favourite looking airplane always admired it as a graceful aircraft with its four engines, probably a joy to fly as well. I remember a few years back flying a TC C550 from YOW to YYR and one passed by us over Labrador, believe it was a -600 series with the bigger engines, can’t remember the airline. Had I had my iPhone 8(unheard of then) it would have made a stunning picture for me anyway. Specially for you - a photo by somebody with a camera who knows how to use it. I was flying - and yes they're a pleasure to fly. Very nice photo, saved as wallpaper on my trusty Dell desktop with some minor Adobe photoshop tweaking. Was told the 1st job was the hardest to get. Seems like airline position is the hardest to get, and supposive to be a hiring boom. Any ideas why times have changed? Why don't you post your resume in the hire-me section and perhaps you could get some constructive criticism on it? Might be some issues with your presentation.